Another day, another mid-year “The Best…” list…..
I’ll be adding this post to All Mid-Year 2016 “Best” Lists In One Place. Ordinarily, I also publish a separate list for ELL students, but just didn’t have it in me to do that this month. You can see links to all those past posts at The Best Websites For English Language Learner Students In 2015 – Part Two. I’ve included resources that I would ordinarily put in that list in this post, instead. Jossey-Bass is making all the lesson plans and student hand-outs from our Navigating The Common Core With ELLs book available for free online – you don’t even have to register to get them! Just go to our page on the publisher’s site and download away! And I think teachers will find my weekly posts at The New York Times helpful: All My NY Times Posts For English Language Learners – Linked With Descriptions. Elementary Podcasts are from The British Council. There are tons of English-learning podcasts out there, but this one stands out because each one includes web-based interactive exercises. I’m not aware of any other one like it – am I missing them? I’m adding it toThe Best Listening Sites For English Language Learners. One of my most popular posts is The Best Places To Get The “Same” Text Written For Different “Levels.” It’s filled with free sources where you can get the similar versions of the same text that have been edited for different levels of readers. For some reason, however, I have neglected to put the modified readings from the great British Council on that list, and I am fixing that oversight now. They have a number of readings in three or four levels each. They seem to have them in two different places — stories in three levels here and four levels here. Statistic Of The Day: Numbers of Immigrant Students Will Continue To Grow is a post I wrote about a recent study that shares some useful and, in one case, alarming statistics. The Seven Best Silent Short Films for Language Teaching is from Kieran Donaghy. I’m adding it to The Best Popular Movies/TV Shows For ESL/EFL. Immigrant and Refugee Children: A GUIDE FOR EDUCATORS AND SCHOOL SUPPORT STAFF is from The American Federation of Teachers. Ways to Help ELLs Learn Pronunciation is the headline of one of my Education Week Teacher columns. In it, Wendi Pillars, Paul Boyd-Batstone, Ivannia Soto, Judie Haynes, Diane Mora, Eugenia Mora-Flores, and many readers offer suggestions on how to help English Language Learners develop good pronunciation skills. The 10 Best Places to Find ELT Listening Materials is from Adam Simpson. Steve Smith has written a series of posts about learning strategies in learning a new language. Here are Parts One, Two, Three and Five. Nine major shortcomings of L2 grammar instruction and how to address them is from The Language Gym. I’m adding it to The Best Sites For Grammar Practice. I’ve previously posted about ReadWorks as a source of excellent reading passages for use in classes (see “ReadWorks.org” Looks Like A Good Source Of Free Reading Passages For Social Studies). They recently unveiled ReadWorks Digital, a free site where teachers can create virtual classrooms for students to interact with their excellent texts online, including digital assessments. Many of their articles are accessible to Intermediate ELLs. Many of you may know this, but it’s new to me that it was a very controversial story when it came out prior to World War II and was banned in in countries for it’s alleged promotion of pacifism. Education Week published the video of our Webinar on ELLs & The Common Core, which we did in conjunction with the publication of our new book, Navigating The Common Core With ELLs. Education Week released a special report on teaching English Language Learners that is a must-read for anybody interested in ELLs, and it will remain one for a long time to come. The Ed Week report includes many articles and, my hat is off to them on this, there are Spanish-language versions of all of them. The differences among ESL program models is from MultiBriefs. 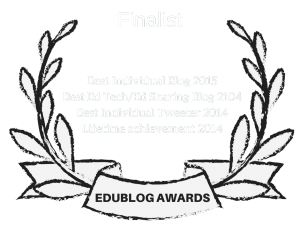 Four Excellent Sites for Online Dictations is from Blog de Cristina. I’m adding it to The Best Resources For Learning How To Use The Dictogloss Strategy With English Language Learners. 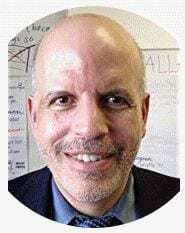 Dave Stuart Jr., who provides the most accessible materials out there on the Common Core Standards, did a thirty-minute interview with me about teaching English Language Learners. He’s now put it online, along with a short summary. Can Duolingo Crush the TOEFL? is from Slate. I don’t know how long this campaign will last but, because it’s so cool, I’m adding it to The Best Websites For Learning English Pronunciation. Frequently Requested Statistics on Immigrants and Immigration inthe United States is from The Migration Policy Institute. 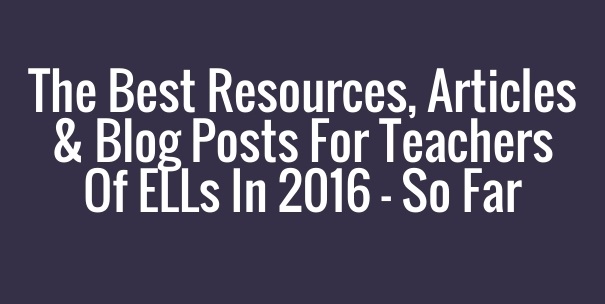 I’m adding it to The Best Ways To Keep-Up With Current ELL/ESL/EFL News & Research. Effective Strategies For ELL Error Correction is the headline of one of my Education Week Teacher columns. Teachers of English Language Learners, and researchers (see No Surprise In This Study: Language Learners Retain Vocabulary Better When Connected To Gestures & Images), have known for a long time that drawing pictures of words enhances memories of them. A new, and exhaustive, study seems to have confirmed that understanding. You can read a summary of the research here and also watch a video summary in the short video embedded below (I wish more researchers would make videos like this one). In a pleasant surprise, the study itself is available for free online. NPR has been run a three-part series on how “gifted” English Language Learners, particularly Latinos, are overlooked for admittance into advanced classes in schools. Of course, that’s no surprise to most of us — it’s common that even many teachers confuse not speaking English with not being intelligent. It’s great that this problem is finally getting some public attention. We’re lucky at our school that some of us who also teach English Language Learner classes also teach courses in the International Baccalaureate program so, for instance, I recruited four of my ELL students for my IB Theory of Knowledge class this year and have twelve slated to attend next year. Why Gifted Latinos Are Often Overlooked And Underserved is the link to one of the stories. Reader Susan recommended I check-out the Big Learners site, and I’m glad she did. It has thousands of worksheets for elementary grades that you can print-out for free with no registration required. The English ones I looked at seemed pretty decent and could certainly be used with Beginning and Low-Intermediate English Language Learners to reinforce concepts that have been initially taught in more engaging ways. I’m adding it to The Best Sites For Free ESL/EFL Hand-Outs & Worksheets. Let’s Learn English is a new course for English learners. It’s a series of 52 lessons with online resources, student printables and teacher lesson plans and is from the Voice of America. New Geography Videos From Our Latest Sister Class – In Guatemala! WordSift came out several years ago as a great tool to help English Language Learners develop academic vocabulary knowledge. Mary Ann Zehr wrote an excellent description of it at Ed Week, and I put it on The Best Websites For Developing Academic English Skills & Vocabulary. It was created by Stanford Professor Kenji Hakuta. Then, it seemed to disappear. I started getting requests from educators for alternatives. Now, it’s back! WordSift 2 has launched. Paste in a text, and you get all sorts of stuff in return — word clouds sorted in various categories, images of words to enhance understanding, sentences showing the words in context, word webs, and more! Successful Field Trips with English Language Learners is from Colorin Colorado. tiching, an organization of teachers in Spanish-speaking countries, did an interview with me on student motivation. You can read it – in Spanish – at Larry Ferlazzo: “Ofrecer autonomía es clave para desarrollar la motivación.” Fortunately, even though I did most of the interview in Spanish, they made me sound far more fluent than I actually am 🙂 I’m adding this post to The Best Posts & Articles On “Motivating” Students. David Duebelbeiss has written two good posts: “Best” Videos for ELT Player and Video Lessons. I’m adding both to The Best Popular Movies/TV Shows For ESL/EFL (& How To Use Them). Judie Haynes has a very useful TESOL post titled 10 Online Resources to Improve EL Literacy that’s worth reading. One resource she mentions that I thought was particularly good was from National Geographic. They have quite a few simple “Listen & Read” nonfiction stories that would be great for English Language Learners. You can find them here and here. I’m adding them to The Best Websites To Help Beginning Readers. Vocabulary building and revision tools is from Adam Simpson. I’m adding it to The Best Sites Where ELL’s Can Learn Vocabulary. Sounds Like A Story is from ELT Cation. I’ve used sound effects to help students learn vocabulary, but this blog post describes a cool lesson that takes that idea several steps further. The Seven Best Film and Video Resource Sites is by Kieran Donaghy. I’m adding it to The Best Popular Movies/TV Shows For ESL/EFL. Collaborative writing activities is by Rachael Roberts. I’m adding it to The Best Sites For Collaborative Storytelling, which I’ve just updated and revised. Ways to Support ELLs With Special Needs is the title of one of my Education Week Teacher posts. English My Way has lots of teacher resources if you’re working with Beginners. Statistic Of The Day: Explicit Teaching Of Grammar Is Not A Winner – What Do You Think Is? Last September, Google introducing the ability to type by voice to Google Docs, and I wrote about its possibilities for language learning (see The New Voice Typing Feature In Google Docs Is Great – I Wonder If ELLs Can Use It For Pronunciation Practice?). Google recently announced an expansion of those features, and you can read about it at TechCrunch’s post, You Can Now Edit And Format Your Google Docs By Voice. You can also see the official list of available commands at Google. Not Hangman Again is a PDF full of classroom games, shared by the British Council. High Schools With College-Bound ELLs Share Common Practices, Study Finds is from Education Week. Bilingual Kids Are Way Better At Thinking Outside The Rules is from Fast Company. The New York Times has just launched a Spanish-language site. It offers both articles translated from English versions and original content. Having good Spanish translations of their English articles can be great tools for English-language development, and the Spanish articles can also be used by ELLs to help develop background knowledge on a specific topic being studied. I’m adding this info to The Best Multilingual & Bilingual Sites For Math, Social Studies, & Science. ASCD’s monthly “Educational Leadership” magazine is usually great, but it was even more special in February with a special issue titledHelping ELLs Excel. Usually, I provide a brief review of a few of the articles that aren’t behind a paywall and which I think are particularly worth reading. However, I’d recommend you go and read all the ones that are freely available AND pay a few bucks to read all the others (if you aren’t already a subscriber). Building Relationships With Families of ELLs is the title of one of my Education Week Teacher columns. The Latest Videos From Our Sister Class Geography Project — This Time, From Greece! Teaching ELLs That ‘Science is a Verb’ is another of my Education Week Teacher columns. Increasing Motivation Through Students Setting Goals is the title of one of my Teaching English – British Council posts.